At the United Nation’s initiative, October 11 has been marked as the International Day of the Girl. This year’s theme for the global campaign was With Her: A skilled GirlForce. Therefore, Save the Children Georgia Country Office decided to celebrate the event by undertaking two types of events. The workshop for media representatives was conducted on October 6, 2018 in Sairme. During the event the head of Emergency Management Service of Georgia presented the new model of emergency management system along with implemented and planned reforms. Save the Children informed media representatives on how to behave before, during and after earthquake and fire. Participants were divided in groups where they discussed the theoretical and practical rules and implemented them in practice during simulation exercise. Georgia is highly exposed to a wide range of natural hazards, including droughts, earthquakes, floods, landslides. Disaster risk management (DRM) is a national priority for the government. The country has focused on developing legislative and institutional frameworks for the DRM. The DRM system is governed by the Civil Safety Law, which was established in 2018 and defines emergency response at the national, regional, and local levels. 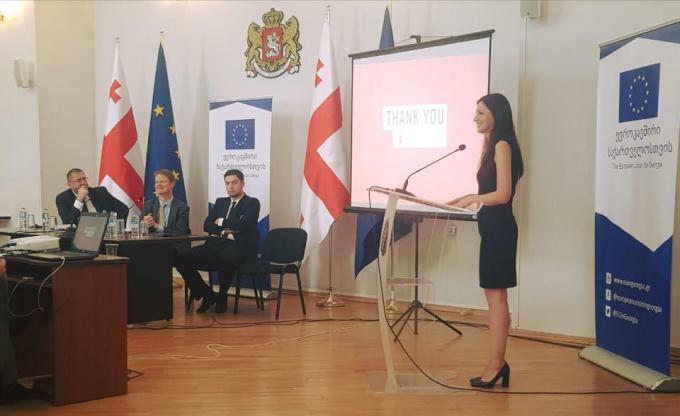 On September 4, three new projects were launched under the European Union’s EU4Youth initiative, that consider working with young Georgians in order to help Georgian youth - and particularly young people from a disadvantageous backgrounds - improving their employment perspectives, by fostering their entrepreneurial potential and helping them develop indispensable skills for the labour market. On August 23-24, 2018, Save the Children conducted an awareness-raising campaign for youth residing in Senaki municipality. The event was held as part of the two-year project “EU4Youth: Better Skills for Better Future” financed by the European Commission’s EU4Youth Program. This project aims to contribute to developing the entrepreneurial potential of disadvantaged youth; ensuring their increased access to non-formal educational opportunities for greater employability; and advocating for coherent and cross-sectorial youth policies.